Find hotel near Zoo Of The City Of Barran ..
An interesting place to visit to see different kind of animals and trees. The Zoo has about 500 animals and 140 species. From a humble beginning in 1952 as a small nursery to a full-fledged zoo with a lot of species, it has a great deal of variety. All kinds of animal species from Asian, African and American continents are present in the zoo along with an exquisite collection of flora too. A fun visit with family and friends, especially kids. Bus routes that pass through or near the zoo. 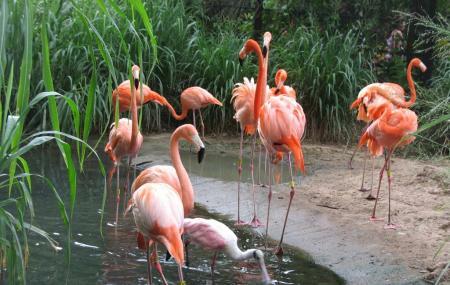 How popular is Zoo Of The City Of Barranquilla? People normally club together Iglesia De La Inmaculada Concepcion and Centro Comercial Buenavista while planning their visit to Zoo Of The City Of Barranquilla.